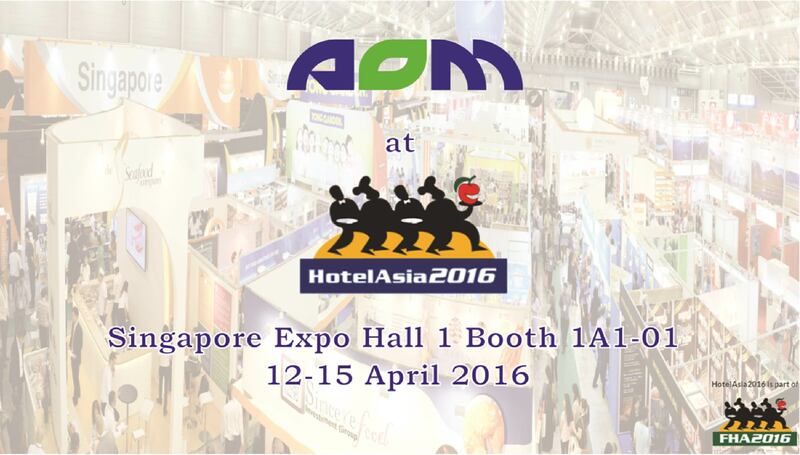 Come April 2016, Air & Odor Management (AOM) will be participating in Hotel Asia 2016, part of Food & Hotel Asia 2016 (FHA2016) held at the Singapore Expo. Hotel Asia is an international exhibition of Hotel, Restaurant and Food Service Equipment, Supplies, and Services. The event is widely regarded as Asia’s most established trade exhibition of its kind. Featuring leading brands from all around the world, the 2016 edition will integrate a broad array of international food, service, hospitality equipment, machines, and accessories – making it a well-positioned one-stop business platform for buyers in Asia and beyond. SCRUBBOX S Series is an intuitive variant of our existing top drawer Kitchen Exhaust Electrostatic Air Cleaner (SCRUBBOX) providently designed for intensive air filtration. 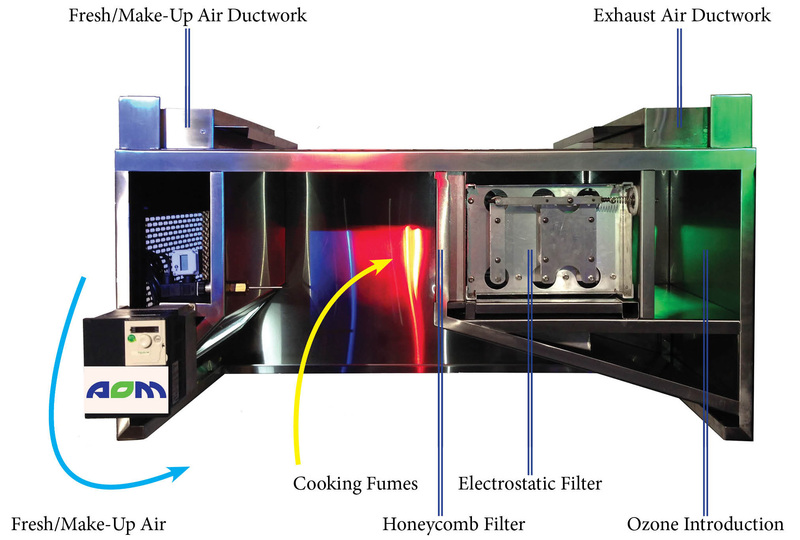 A world’s first, its electronic cell comes with 2 segments of ionization and collection of passing pollutants, making it the perfect choice for high-grease, high-smoke producing cooking (e.g. BBQ, Open-Flame Charcoal). With filtration efficiency up to 98%, the SCRUBBOX S Series alleviates the space problem a conventional double-pass arrangement of air cleaners may pose and ensures environmental pollution from kitchen exhaust is kept to a minimum. Ventler is a revolutionary Commercial Kitchen Cook-Top with built-in SCRUBBOX air cleaning system designed and built specifically for F&B operators. 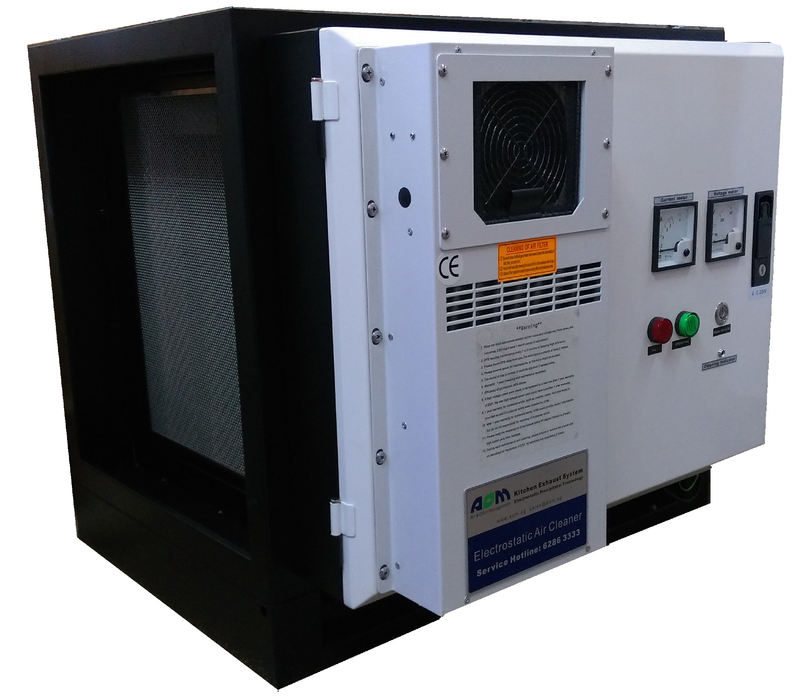 Ituses flame-impeding filters to extract cooking fumes and thereafter treats the polluted air – particulates, oil, grease and foul odor – through a series of air cleaning and filtration systems housed within. When treated air is released back into the environment, it is significantly cleaner and the system concurrently helps to keep the kitchen better ventilated. Ventler is customizable, easy to relocate and makes regular servicing and maintenance more convenient and economical. It is the perfect solution when constructing a new kitchen exhaust system is not feasible or desirable. The kitchen exhaust model is patent-pending, exquisitely designed and produced by AOM Singapore with the assistance of SPRING Singapore. 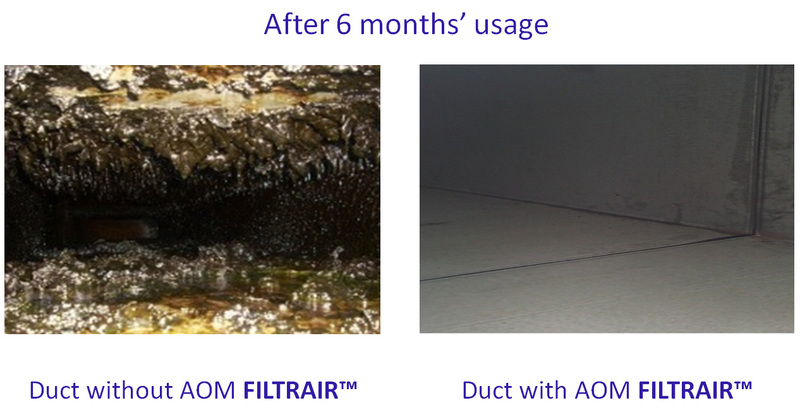 In addition, odor tests have proven the product’s efficiency in odor removal of up to 87.5%. AOM Hood is a breakthrough in Kitchen Exhaust System and Hood Design. The first-of-its-kind, state-of-the-art AOM Hood presents an innovative and energy-saving solution to mitigate kitchen exhaust environmental pollution and prevent kitchen exhaust duct work fire. 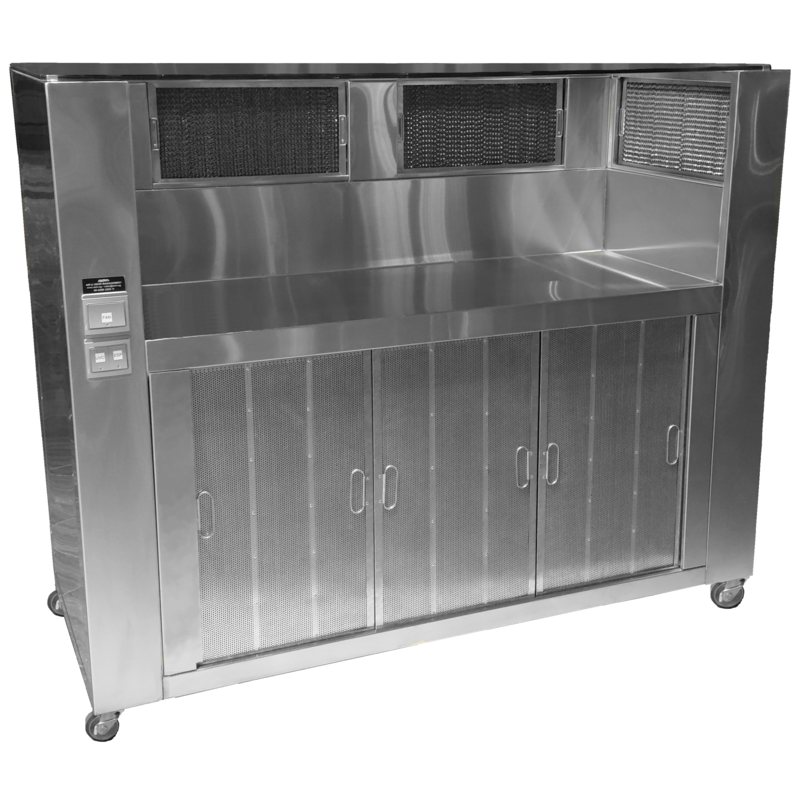 Made from high-quality stainless steel, the hood integrates flame-impeding honeycomb filters, electrostatic filters, and ozone generators (filtration process termed AOM FILTRAIR™) to clean and treat smoke, oil and grease, and associated odors generated from cooking before discharge into the environment. Visit AOM at Hotel Asia 2016, Singapore Expo Hall 1, Booth 1A1-01 from 12-15 April 2016 to get a first-hand experience with these latest breakthroughs in Kitchen Exhaust System!